Prada Amber Pour Homme is the first Prada fragrance, launched after the female one, also in oriental composition based upon amber. The perfumer Daniela Roche-Andrier created the composition in four basic accords : Amber â€“ the main accord, rich and complex oriental base which includes amber, vanilla, labdanum, Tonka and patchouli; Fougere â€“ or the aromatic accord with a remarkable soapy note, includes notes of pelargonium, vetiver, orange blossom and myrrh at the heart; Cologne â€“ the refreshing citrusy top of bergamot, mandarin, neroli and cardamom; Leather â€“ leather note is present at the base of the composition ( leather, saffron and sandalwood). 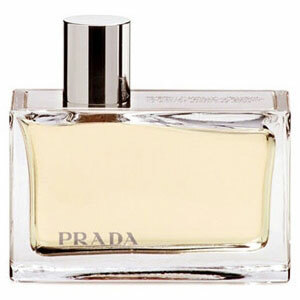 Miuccia Prada, the granddaughter of the founder, who turned grandfatherâ€™s leather goods design into a large company, personally took part in creating of this perfume. â€œ"I just tried to imagine what I would like if I were a man.â€� Maybe due to the fact that it was created by a female hand, the fragrance is not aggressive at all, like it might have been expected from an oriental fragrance with leather and amber. Instead, it is very elegant and masculine gentle.